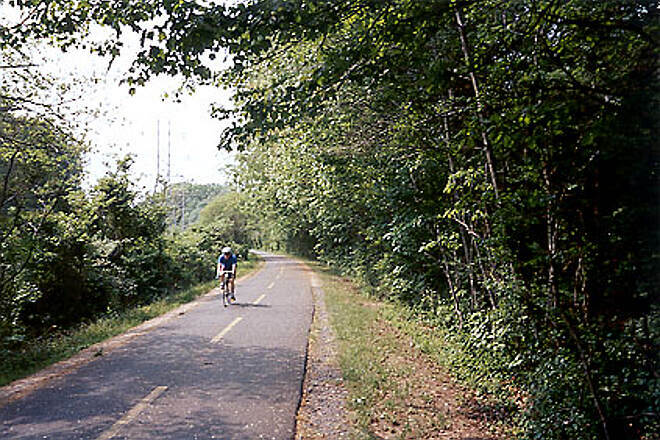 The Washington & Old Dominion Trail (W&OD) is one of suburban Washington, D.C.'s most popular rail-trails. 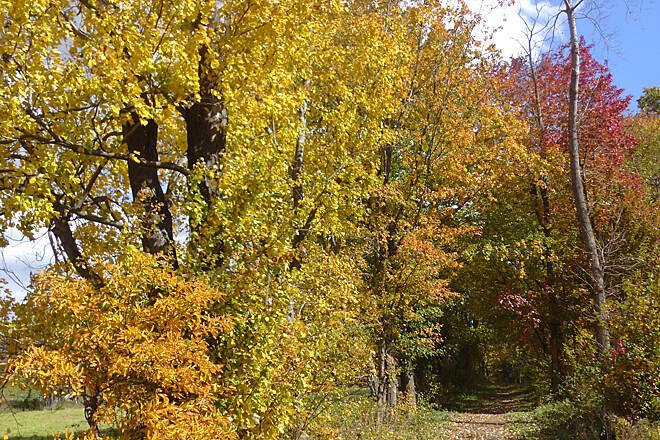 The heavily used trail is frequented by commuters and recreationists alike, and is a fantastic link between Virginia's rural and historical past and the nation's capital. 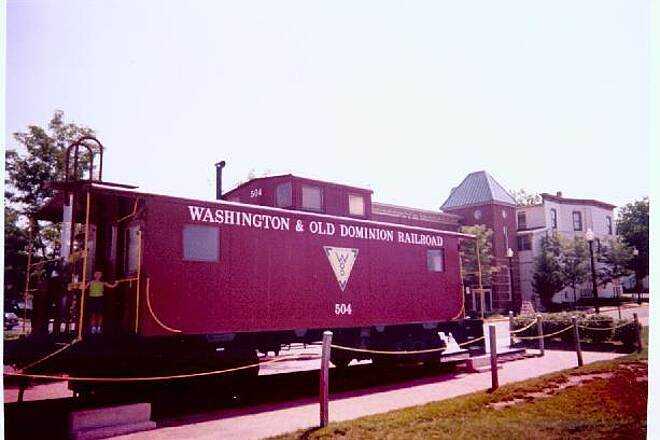 The W&OD Railroad was built on the eve of the Civil War in 1858. At times both a passenger line and a freight line, the railroad eventually lost out to more efficient modes of transportation and went into disuse in 1968. 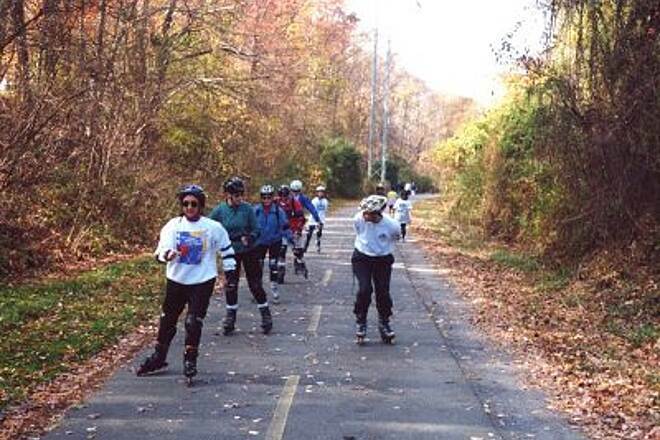 In 1982 the Northern Virginia Parks Association bought the right-of-way and maintains the trail today with the help of volunteers of the Friends of the W&OD. 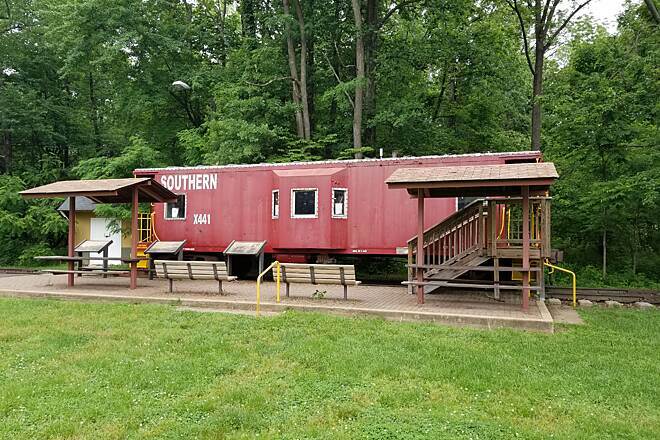 In Fairfax County, the trail continues through the communities of Vienna (mile 12 and with an old caboose and train depot) and Reston (mile 18). Both towns offer plenty of off-trail shops and restaurants for a nice break or diversion. 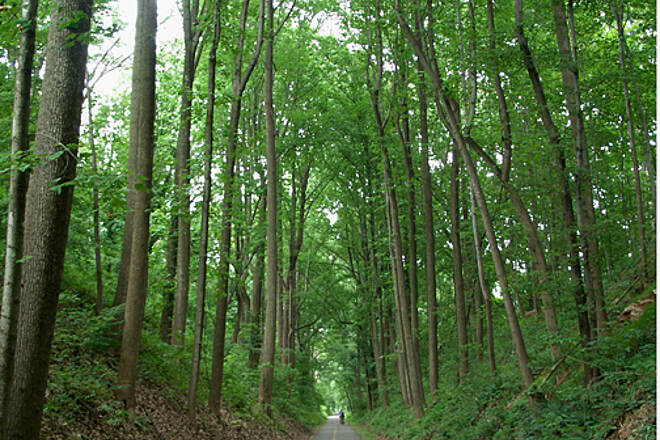 The suburban neighborhoods surrounding the trail become more wooded, too. Halfway between Vienna and Reston, a worthwhile side trip is the beautiful Meadowlark Botanical Gardens. 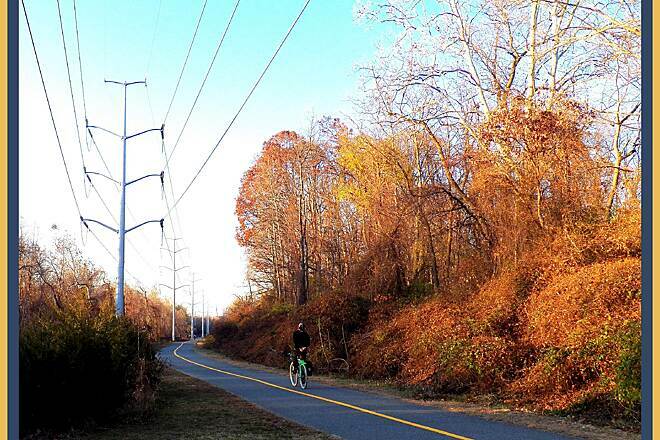 The mile-long Meadowlark Connector Trail, which directly connects with the W&OD Trail, will take you there. 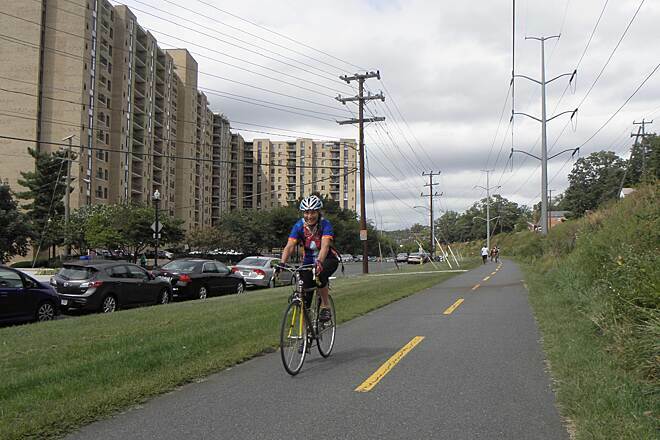 To begin at the southern end of the W&OD Trail, take Interstate 395 to the Shirlington Exit; bear right to head north and drive to the second stoplight. Turn left here on South Four Mile Run Drive. 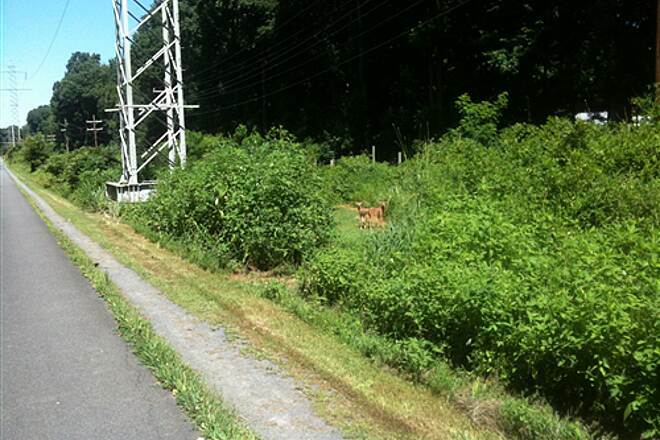 The W&OD Trail will be on the right, paralleling the road. You can park along the side of the road, but it is not advisable to leave your car overnight here. In fact, you're better off parking in one of the parking garages just across the road in downtown Shirlington. To begin at the northern end in Purcellville, take State Route 7 west. Exit at SR 287 and turn left. Follow SR 287 until SR 7 Business and take a right. Turn right again on 21st Street. 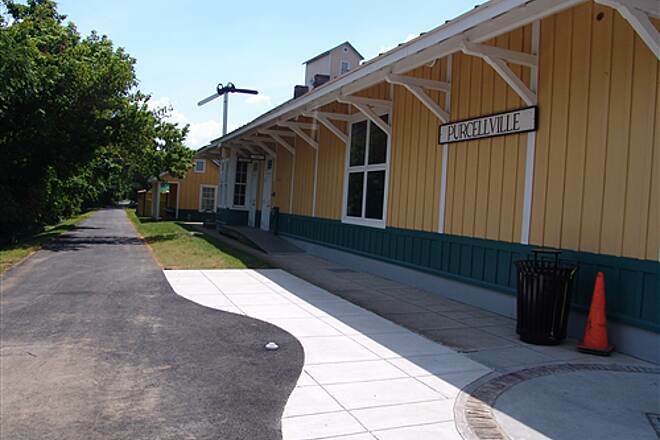 The Purcellville Train Depot is 0.25 mile away on the right. Parking is across the street but there are time limits during certain days of the week. Unlimited parking time is permitted at a small lot 1 block east along the trail off Hatcher Avenue. Parking and trail access are available in dozens of places along the route. For more information, visit Friends of the W&OD. This is one of the best trails in the east coast. Long, well maintained, and very varied along the way. 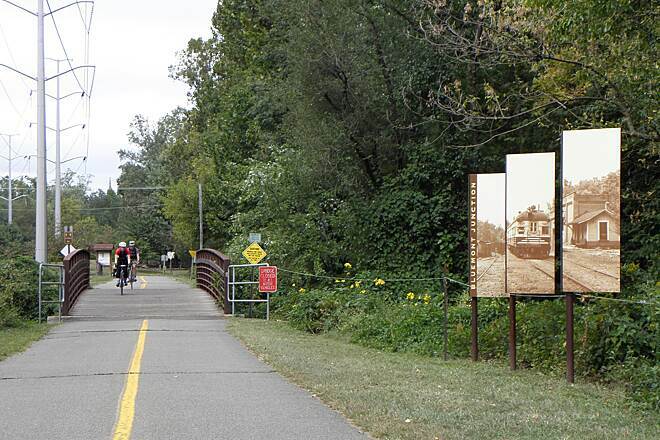 You can connect with the Capital Crescent Trail through the Custis Trail and complete a century going back and forth. Yes, some portions of the trail are under electric towers but is still a great trail to ride. There is a Barbeque restaurant (Carolinas Brothers) in Ashburn, where you can have the best pulled pork sandwich with cole slaw and beans! The end of the trail at Purcelville is anti-climatic. 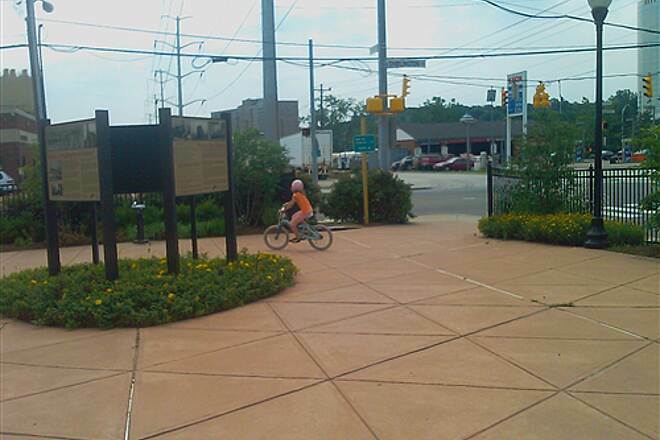 You end up in a town that seems to be oblivious to the bike trail. Fortunately, the old train station has bathrooms with hot water! Unbelievable!!! Nice trail! Well paved & marked. 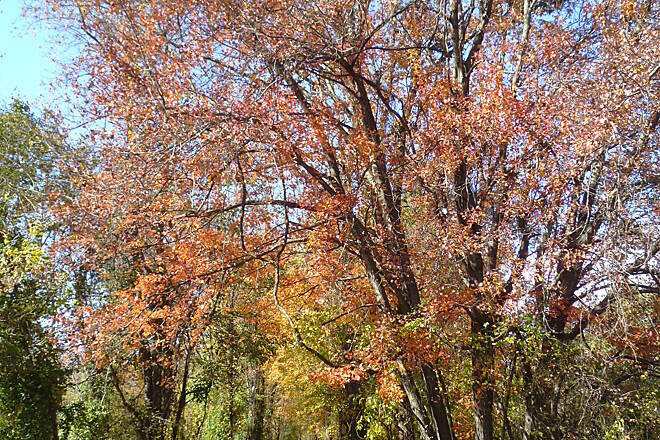 Rode part of this trail from Purcellville to Leesburg. We were short on time so only got to ride 7 miles out and 7 miles back. Loved the trail. 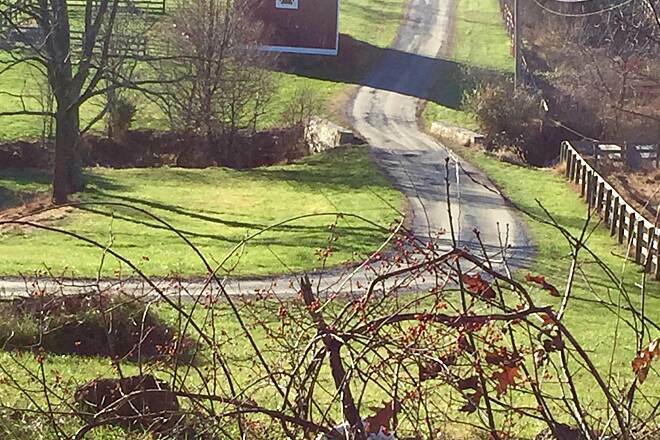 Quiet, nicely paved, marked well and rural when you start out at the Purcellville end. Hope to go back and ride another section again and eventually cover all of it after a few rides! 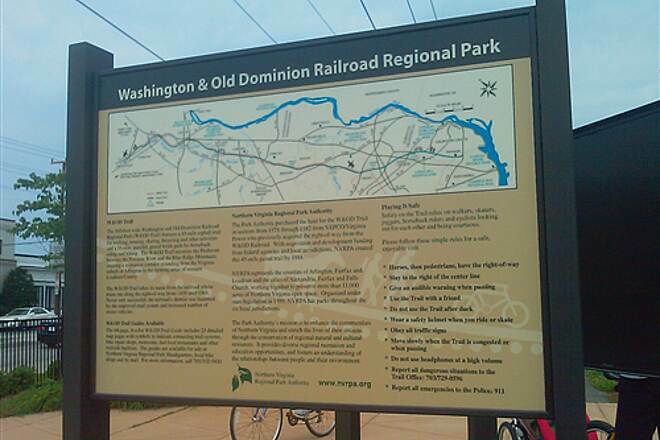 I have ridden this trail a couple of times while visiting the DC area. The trail is in very good condition and connects to several other trails. The trial seems to be very busy on weekends but not to bad during the week. Awesome trail with minimal stops for traffic crossing roads. Lots of users on weekends. Week days are pretty quiet during the day. 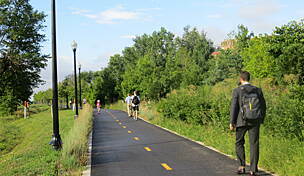 Great way to ride into DC from the west and connect the network of trails. Did an end to end and return today. Started at 620 in the fog, that was gone early. 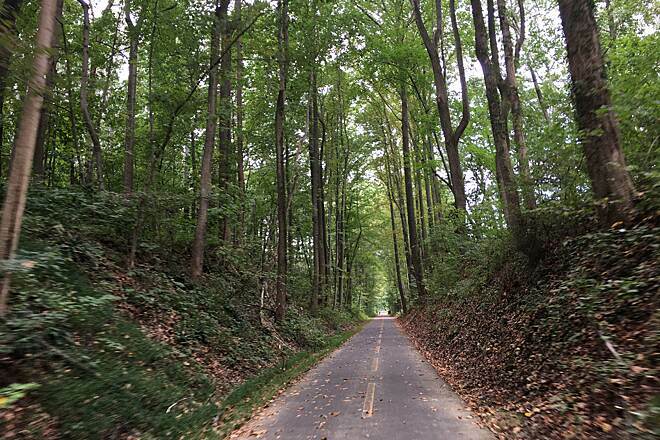 I much prefer the west end past Leesburg as it is shaded even if climbing Clarke's Gap can be a chore. This is a good ride, but watch traffic on the week days. 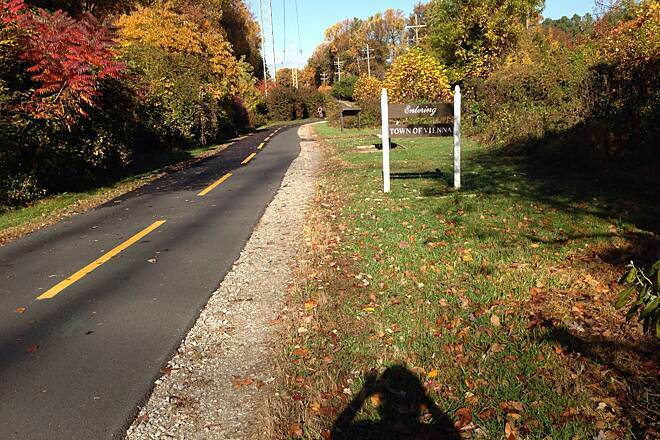 I rode 48 miles on this trail as an out and back from Herndon to Purcellville and back. It took about 8 or so miles until the trail got really pretty, but I enjoyed every bit of it. As noted, it is well-marked with markers every .5 miles, signs for water, restrooms, food, air pumps, bike shops, and other attractions such as breweries, chocolate shops, wine shops and BBQ! The trail is in superb shape, and lots of people using it even on a Monday! The only downside is that you have to stop quite often to cross streets, but alas, that is just part of the deal... At each crossing there are crosswalks, and many times the cars stop to let you go through. Thank you Virginia for such a great place to ride!!! While working in Winchester, drove down here and ran. Town and trail VERY NICE. If you have the opportunity, put in a couple miles here. 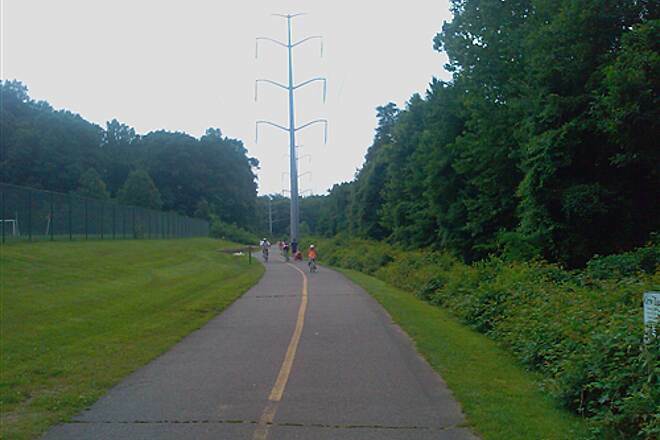 When I was working a temporary contract in the Reston Virginia area I had folks recommend this trail to me. I had brought my road race bike along on the trip so I was able to take advantage of this great trail resource. 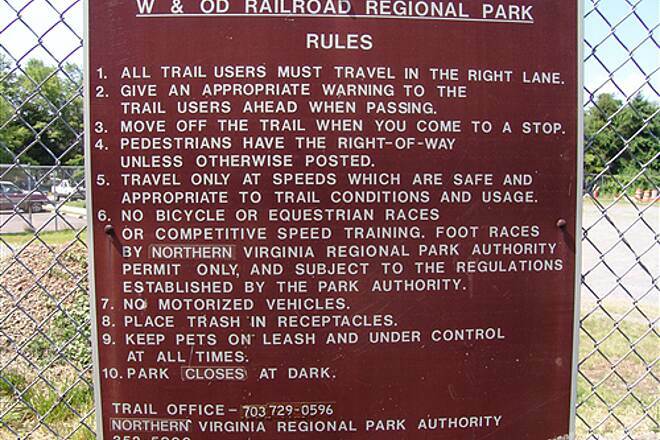 I recommend if you are in the North Virginia area anywhere near Wash DC that this is a trail to visit. It is nicely paved and goes through some very nice areas. It is very popular with people who live near it or are visiting the area. However it is not so crowded that it was difficult to ride fast along it. I live near and have frequently commuted along the W&OD, and find it nastalgic more than anything since using it for travel since a youngster. 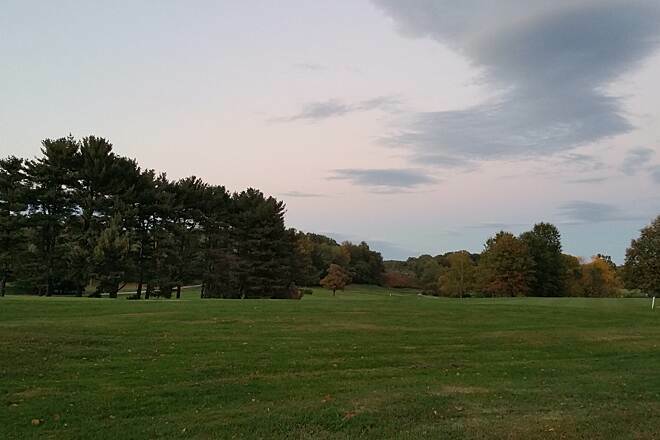 It is very well maintained and patrolled now days, and takes you from (DC) the big city and drops you out in the middle of what begins the farm land of Virginia, near the TAT's modern NY to TN course, allowing it to be connected to the rest of the country. The only reason why I give it less thatn a 5 is a very strong disinterest in smelling the smog on the DC end but that stops coming west through Alexandria, leaving the rest of the aroma in spring to be pleasant. 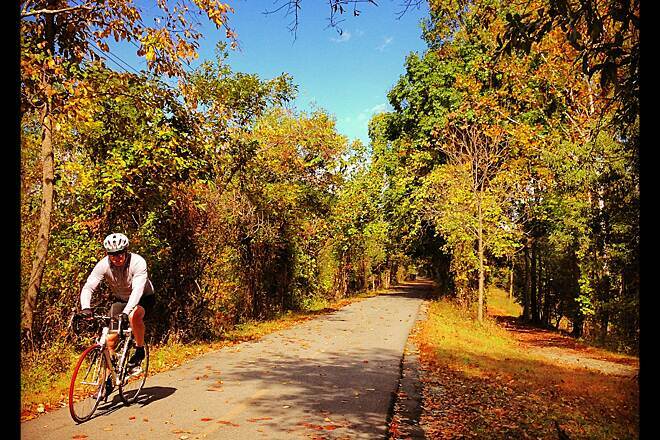 For normal people, any serious person who rides the W&OD trail loves it! 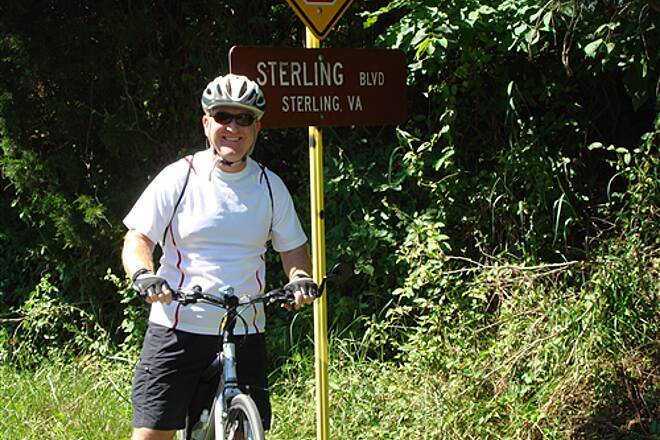 I ride the trail several times per week, various distances between Purcellville and Reston, generally 30miles at a time. For the most part, people are courteous and observe passing decorum ("on your left") and it's the most pleasant part of my day. Anyone remotely familiar with the NoVA area would recognize in advance that the more eastward you go, the more urban, and the more westward you go the more rural. So you have a little bit of everything for everyone. The grades are gradual and manageable by all activity levels. It's never too far to a place to fill that water bottle. There were some scenic pastoral areas along this portion of the trail. The problem my wife and I ran into was road construction. It appeared that a portion of the trail had been rerouted due to the construction. If this is the case then I hope the rerouting is temporary as it created one fairly short corkscrew curve with major elevation change. I was able to drop to a low gear and made my way back up this heart stopper with far less trouble than I anticipated so in hindsight the challenge was also rewarding. I would recommend for those unfamiliar with the trail than they park at a trail head midway along the trail and avoid many of the road crossings and at least the one major incline. This advice is especially for older cyclists. I've been riding this trail for about 13 years. It's one of the best things about Northern Virginia. But be careful at road crossings since drivers are inconsistent when it comes to obeying traffic laws. Mostly I have found drivers in the area to stop at trail crossings when they see cyclists. 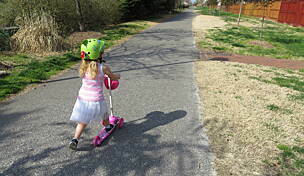 We picked up W&OD from Custis in Alexandria, and rode tandem (first time!) to Leesburg for an overnight stay, returning next day. Very few steep hills, though there were some long, steady climbs. Nothing too arduous. Saw a deer trailside, and stopped to photograph the huge quarry on our return. The water fountain in Vienna was shut off by this time of year, so we got a little desperate at points for water bottle refills. Unfortunately, we had a 20 mph headwind with 30 mph gust on day 1. It was a tailwind going home, though somewhat diminished. Better this than the other way round! Oh, and they were repaving a section north of Reston. They let folks through, nonetheless. 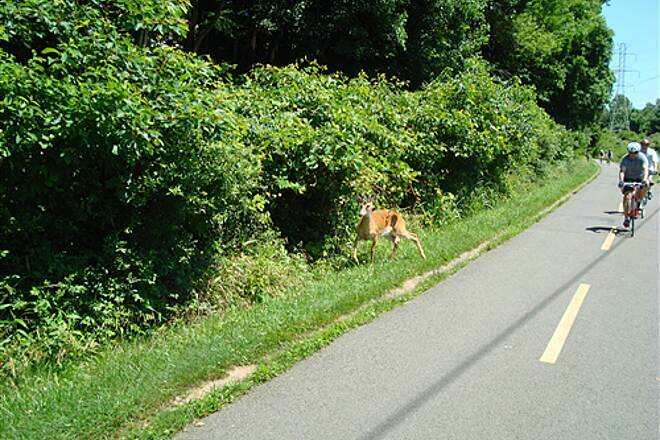 Biked the trail from purcellville to leesburg and back. Well maintained and scenic. Grabbed a light snack in leesburg and a wonderful dinner at Magnolias in purcellville. Can't wait to do it again. there was no trail, just the rail road bed. no houses past vienna, simply rolling hills, fields and lots of woods. we called it "the homelands" the "first bridge" was simply the steel structural beams with no sides. 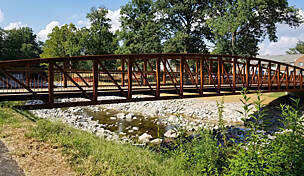 the "second bridge" were simply two steel cables strung across the creek. i was told it was erected for the boy scouts to use to traverse across. my crowd just forged the creek on our dirt bikes. 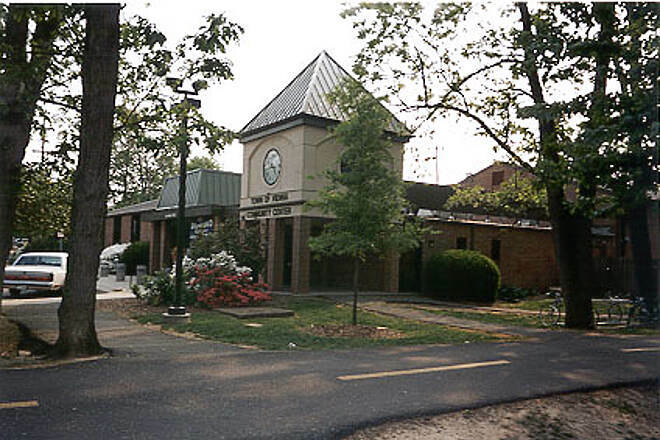 we mostly hung out in the area between barristers place and hunter mill road, as that was our playground. you could go as far as you dared off to either side of the tracks. smityboy needs to get a life. I gave this trail 3 stars as I never give a one or a five. 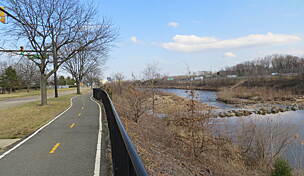 I drove all the way from Wilmington De to ride this trail and had a great ride. I just do not understand some people and there expectation. Did not like this trail at all! Actually, I hated riding this trail, and I can honestly say I'll never ride it again. I rode this at the end of summer. I started off at the trail end in Purcellville (cute little town). Nicely enough they had a bike shop there, appropriately entitled, Trails End. I stopped in to ask where I could find a bathroom, and was scolded for carrying a coffee, and told I could not use the facilities if I was not buying anything. I left the store abruptly and found a restroom across the street. As far as the trail goes, it lacked all the things I look for in a ride - namely scenery. I'm not a sport rider. I ride for fun and leisure. If you like scenic rides, like I do, then skip this trail. This ride was all about riding through the edges of backyards; mainly house farms and McMansions with the occasional pretty wooded area. Everywhere I looked were houses - huge, brand new, and expensive. Every cool view had a house sitting in it. I am one of those bikers that loves to take photos on my rides...on this ride, I really had to look very hard for anything photo worthy. The path was littered with Olympic cycling wannabes, people walking their dogs, teenagers up to no good, etc, etc....it was just not a pretty ride. One nice thing about this trail though was that it was all asphalt, and it's laid out like a little road for cars, with the dashed line going down the middle. There were some scary intersections at the trail heads on this ride. In fact, too many of them. This is urban biking folks, and I was missing the call of the wild (namely the C&O Towpath, which I really love to ride). Out from Purcelville, I went beyond Leesburg, and decided to turn around at 15 miles. The scenery was getting less and less attractive (okay, that is being nice…it was ugly). At one point I had driven around/under a power station. Power lines were everywhere. In fact, I was so close to them I could hear them "crackling", and could actually feel the static electricity hitting my body. Also, saw lots of dirty factories off in the distance from the trail….ugly! WARNING: The ride back from Leesburg is all uphill. Although it's slight, it seemed relentlessly forever. This took alot of fun out of the ride. I like hills, but not when they are constant for miles and miles. I guess I'm use to more remote, or just plain scenic rides, and this trail had little to offer IMHO. It was a ride through suburbia. So, in a nutshell, this ride was NOT scenic at all, and the ride back from Leesburg was all uphill. My first and last ride on this trail. I agree with other reviewers that it's not very a very scenic trail, but it’s very well maintained. 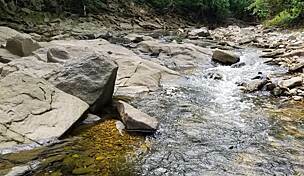 I've also seen plenty of wild life and it has a few nice creeks. I’ve done the section between Falls Church to right before Leesburg. So I can only write as to that particular section. It is all paved. There are plenty of places to rest along the way. The rest spots have benches and some have water. Although this section of the trail is flat, there’s a pretty steep hill pass Hunter Rd. going towards Leesburg. There are stretches beyond Herdon where there is barely any shade. Bring plenty of water. Falls Church and Vienna offer plenty of choices for places to eat. 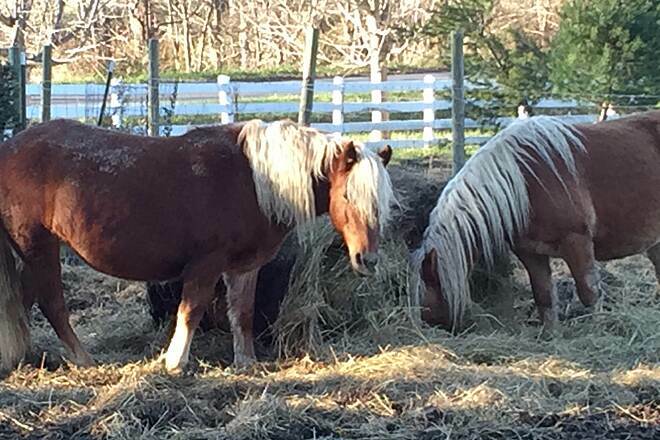 Right on the trail near Ashburn, there’s a BBQ place. Saw it didn’t stop this time, but plan to next time. It’s very convenient right there on the trail. There are two bicycles shops along this stretch. One in Vienna, off the main street. They repair and are a great bunch of people. They carry all sorts of specialty bicycles. Bought my recumbent there. There’s another place in Herdon, visible from the trail. This one has a coffee shop with real good Starbucks like coffee and it has a clean bathroom. The shop seems to be well stocked with bicycle gear. All the places I've mention have bicycle racks. This section of trail has good traffic. Not crowded but you always have company. It feels safe. 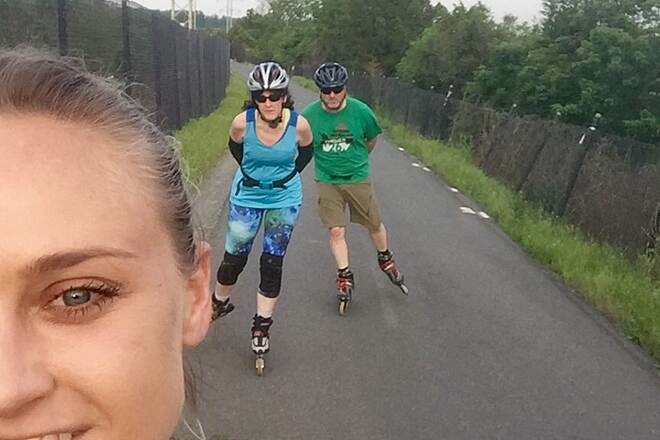 I encountered cyclist, runners, skaters, walkers, dog walkers and parents with children. People along this section were very friendly. Riders were generally courteous warning while passing. All and all it is a very nice ride, just be prepared for the sun. Bring lots of water. 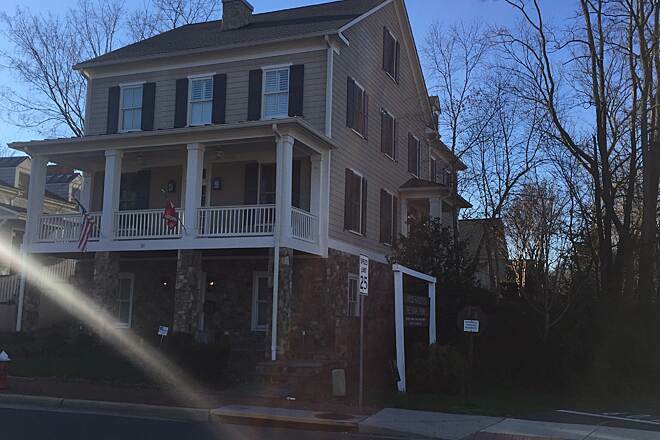 Keep in mind that although going toward Leesburg is a smooth ride, you need your energy to come back because, although it is subtle, it’s uphill. Not steep, but you will feel it coming back. Enjoy your ride. I did. On 9/14 I rode this great trail. It is not as scenic as some I have done but it is a great trail. 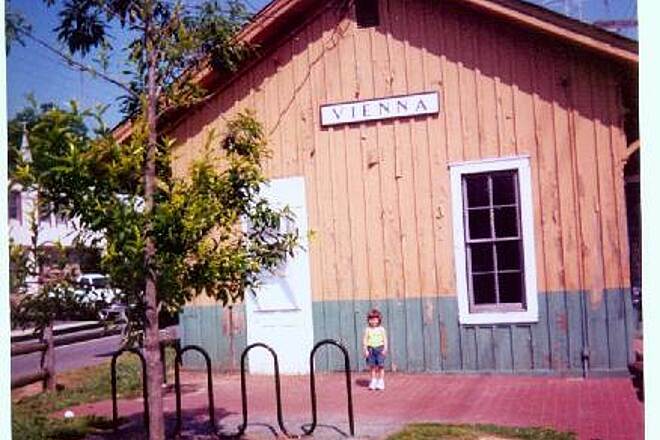 I started in Vienna and went to Purcellville and back about sixty six miles. On the trip I found only one street crossing that I felt was very bad and that was Wiehle Ave in Reston and this is a bad one. Most of the tough crossing have cross walk lights that the trail user activates. Now for the good stuff, it has it all Mile Marker every half mile, each cross road is marked with its name and the City name, Park Benches, Picnic Tables, Kiosks all along the route with trail maps and information, Restrooms, it even has a couple of Air pumps along the way, a great surface, very good signage, and lots of Historical Markers. 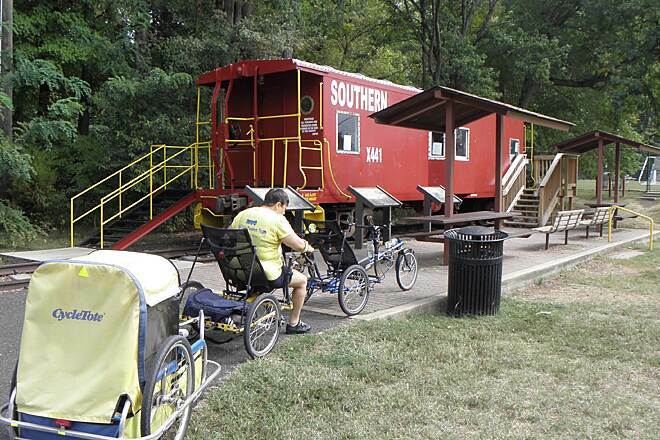 If you are a History buff or a Rail Road buff you need to do this trail. I would highly suggest that you have a mirror as some of the Road Bikers really hall the mail. Only the last ten or twelve miles has a canopy so you will need sunscreen. I would say that this is a family friendly trail as there are just a few tough hills. The two high lights for me where the number of old RR Stations and the over look at Luck Stone Quarry. The elevation at Leesburg is 305 and at Purcellville it is 605 a nice climb up but a great ride back. this is one of the best Maintained trails that I have done. Hats off to the Friends of WO&D and the Northern Virgina Parks Authority. If you live in the D.C, Northern Va. or Baltimore area this is a must do trail. 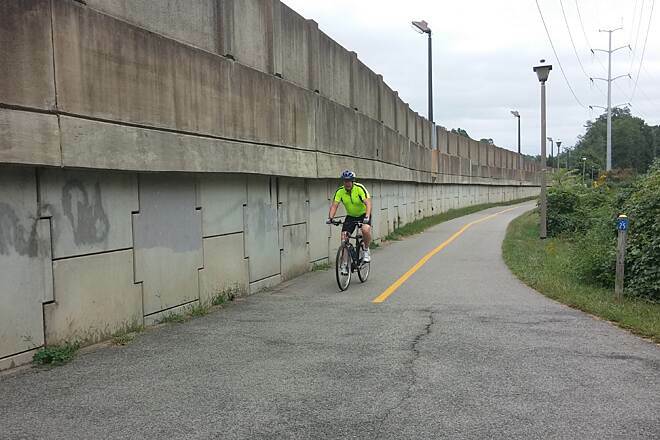 Rode the trail from Herndon to the east end of the trail and back Saturday, and the western section between Purcellville and Herndon on Sunday. Magnolias at the Mill restaurant at the Purcellville end is GREAT! There is also a very good, and helpful bike shop right across the street. The only complaint I have is the indifferent, "it's all about me" attitude of some of the weekend Lance Armstrong wannabe's I experienced on the eastern part, as you get closer to D.C. 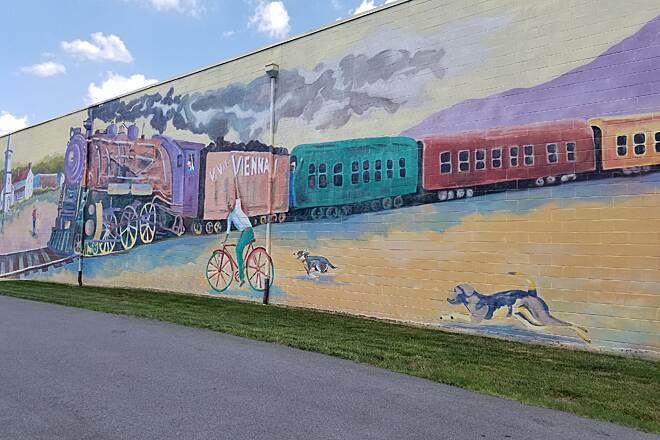 This is a WONDERFUL multi-use trail that goes through lots of residential areas, so there are lots of families with small kids learning to ride their bikes, young couples with babies in strollers out enjoying the outdoors and elderly people out for a brisk walk. Everybody has as much right as the next person to be on this trail, and for the most part everyone is respectful of the different speeds and capabilities of the different users....except for those bikers who think this is their personal high-speed track. Seriously...some of the riders I witnessed need to confine their activities to the streets, where if they lose control or miscalculate the small spaces between the "obstacles" they try to zoom through at full speed, they will hit a car....not someone's child. Someone is really going to get seriously injured soon if these people don't exercise some common sense and self control! This entire trail is paved, relatively flat, and in excellent condition. The only problems would require expensive fixes, like reducing the number of road crossings. The crossings at Walter Reed Drive, George Mason Drive, Columbia Pike, Lee Highway, Gallows Road, Maple Ave, Hunter Mill Road, Wiehle Ave., Sterling Parkway, and Belmont Ridge Road should all eventually be eliminated as they are particularly dangerous and inconvenient. However, those are the ONLY problems with this trail! Many of the major crossings have already been dealt with. 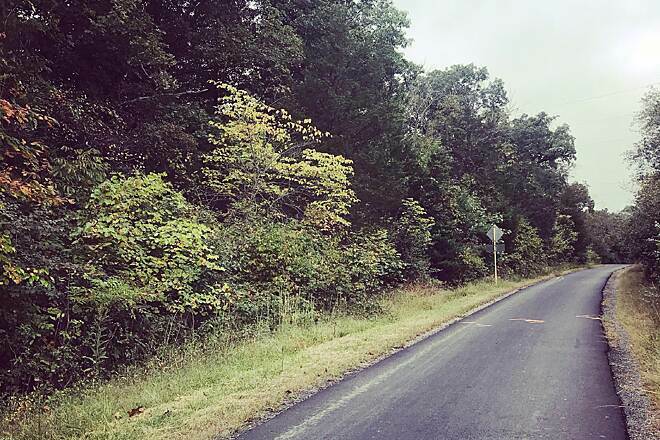 Since that post in 2005, the Section between Bluemont Park and Carling Springs Road have been realigned, dodging the Four Mile Run trail that was in poor repair. This is one of the best, if not THE best, urban trails in the country! 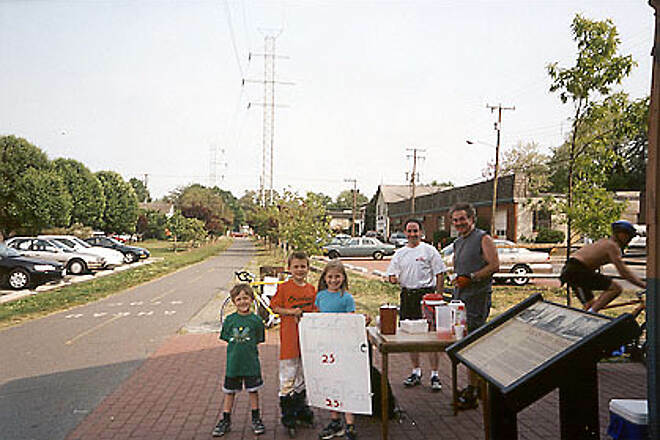 There are numerous services available along the way, such as water, food, and bike shops. 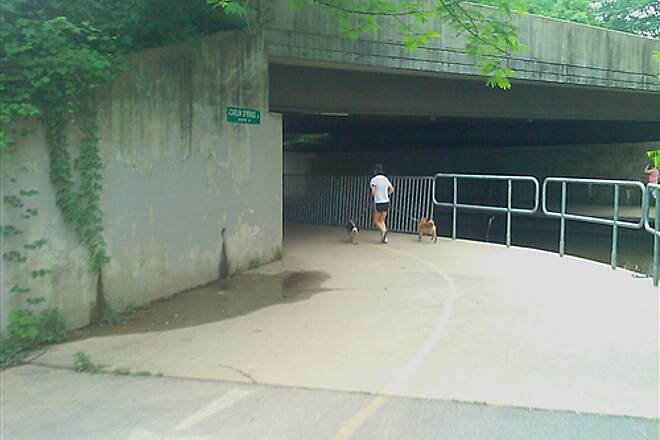 At the southern terminus, there is a new connector under I-395 which will take you right to the Mount Vernon Trail, crossing NO roads past Shirlington Road. The section in Arlington is heavily used, but there are few road crossing and, except where it parallels I66, very pleasant. The Falls Church stretch has many small road crossings: be careful! From Rt. 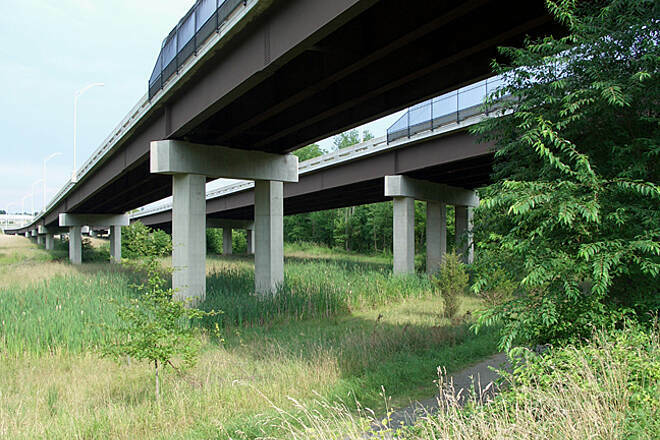 7, the trail climbs slowly where it crosses I66, then I495. 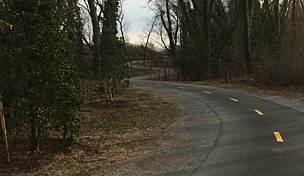 The Dunn Loring area is a long, straight stretch, but with a few crossings, the worst at Gallows Road. Vienna makes a good stopping point. 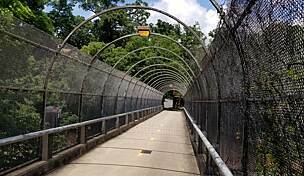 The trail runs 3 miles non-stop, and downhill through the Hunter Valley, then climbs into Reston, where there are a number of minor and major road crossings. Many of the biggest roads in Reston have happily been bypassed using under and overpasses, although this creates a few 'artificial" hills. 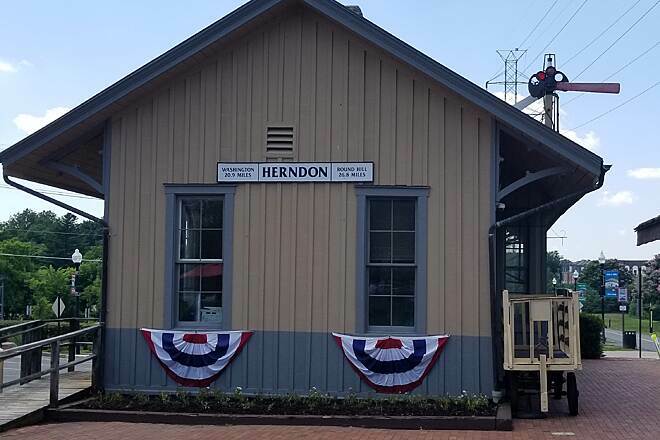 The trail passes right through downtown old town Herdon, where there is a pleasant park and an interesting museum about the railroad. Past this lies Sterling, where there are few roads, lots of trees, but two big "dips". (If you've ridden this part, you know what I mean!) The trail passes over busy Route 28, and into "the straightaway": a long, straight, flat stretch with almost no road crossings. Stop at Smith's Switch Station for water and gatorade. 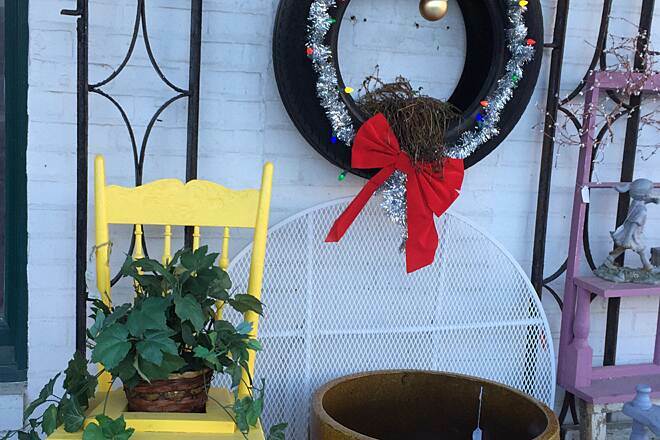 At Ashburn Road, you come to a b-b-q resturant and furniture store alongside the trail. The "straighaway" continues until the trail curves toward Belmont Ridge Road: be VERY careful at this intersection! The trail passes a quarry, over Goose Creek, and through a meadow as it approaches Leesburg. Leesburg itself has a number of road crossings, but also some nice parks. 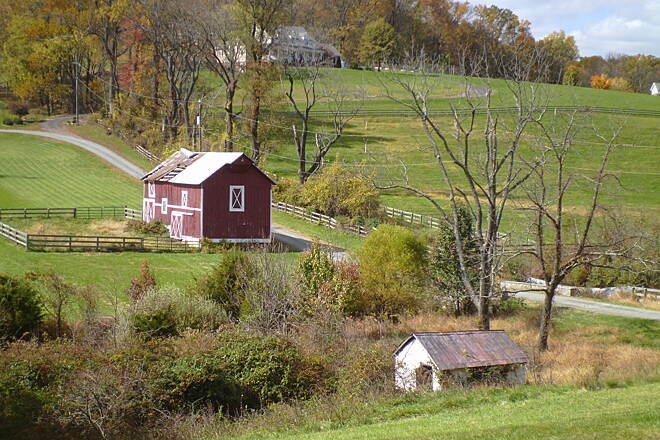 Past Leesburg, one has a beautiful, wooded trail where you can find some peace and seclusion as you climb towards Clarks Gap, then wander past Paenonian Springs to Purcellville. Finally, the trail comes to an end at 44.77 miles. 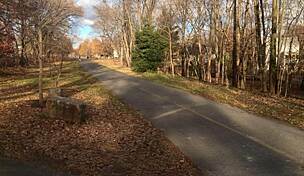 The south end of the W&OD trail is a very pleasant ride beginning at Bluemont Park and heading south for about 4 miles. As you go south you are heading down a gradual descent following and crossing the 4 mile run river. There are a number of areas to stop and picnic and public restroom facilities in the Bluemont park. Just north of the park along the W&OD trail is the connection to the Custis trail. At the very south end of the trail it is easy to pick up the newly improved 4 mile run trail. 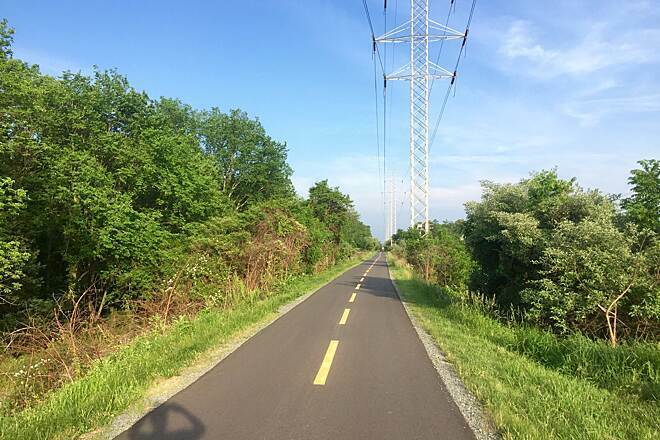 The just completed improvements on the 4 mile run trail address the concerns raised by the previous poster and make a nice ride down to the Potomac river (intersecting the Mt. Vernon Trail at Reagan National airport.) If you continue along the 4 mile run and then return it doubles the ride to 16 miles (down and back.) 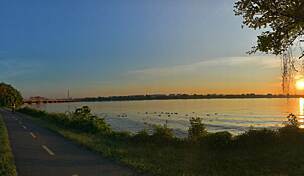 Another option is to start at the Roosevelt park (next to the Potomac at the north end of the Mt. 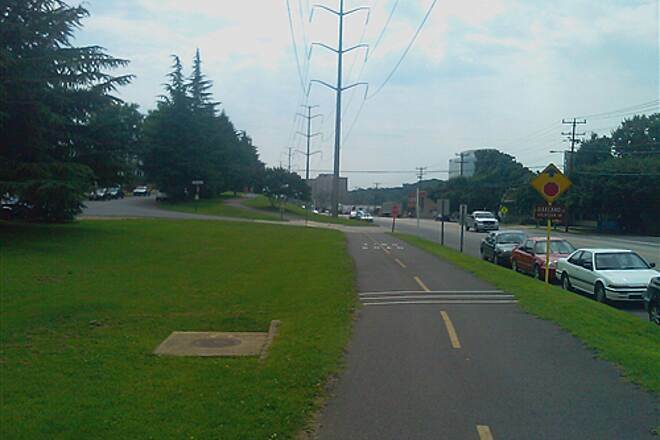 Vernon Trail) and pick up the other end of the Custis trail (a lot of hills.) 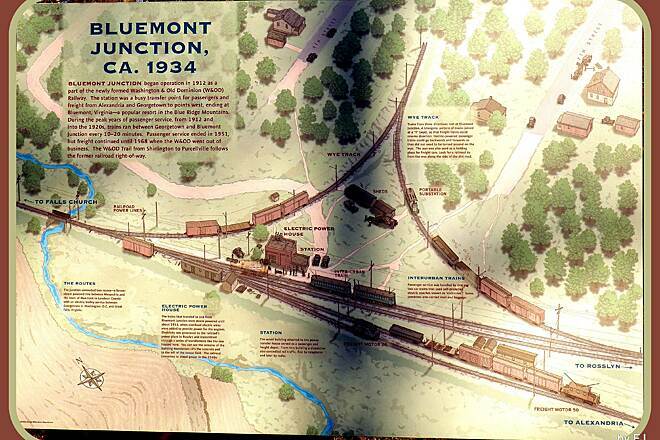 The Custis trail will take you to the W&OD trail just north of Bluemont Park. 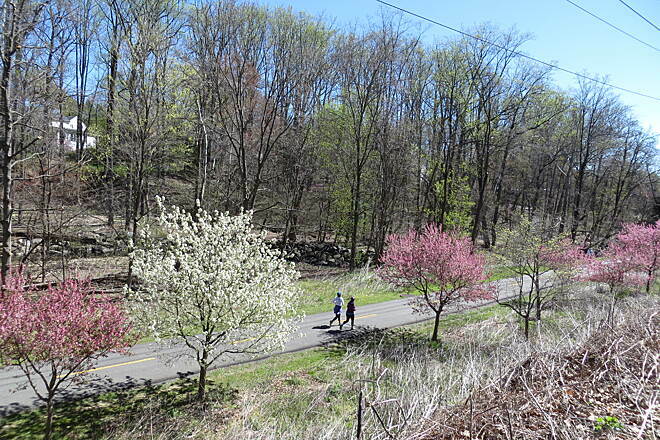 Follow the W&OD trail to the south end and pick up the 4 mile run trail. Take it to the Mt Vernon trail and then follow the Mt Vernon trail back toward DC (be sure to stop at the end of the runway and watch a couple of planes take off overheard) arriving back at Roosevelt Park. The whole loop is about 18 miles. 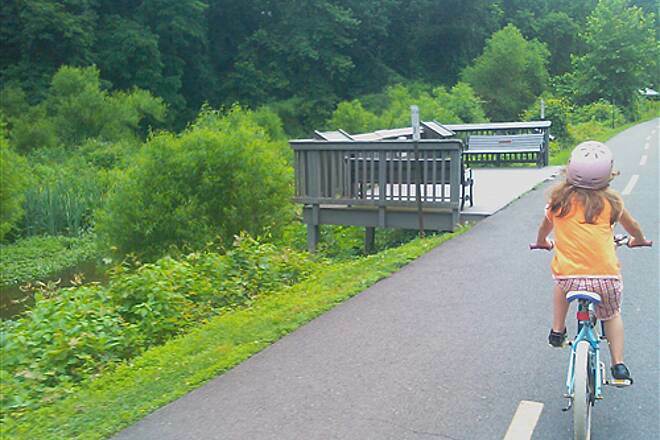 We broke up the W&OD trail into 3 rides. What a great long rail trail. The western portion is particularly fine. We started from the Lake Fairfax Park campground. The trail is accessible from the campground, but the nature trail is too rough for road bikes (1.7mi. ), never mind the deer ticks. 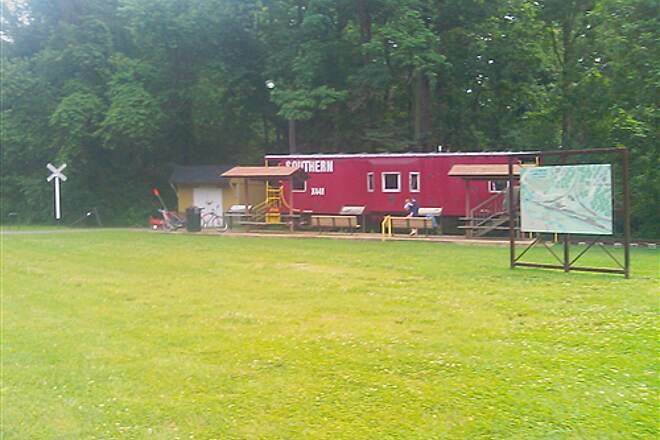 There is a Performance Bike shop near the trail and campground. I rode with a father son (11 years old) team who were moving right along. We passed a prison work group working on the trail. 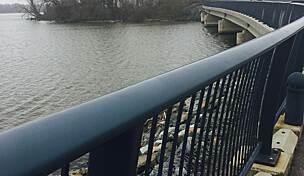 "If you plan on getting to the W&OD from downtown Alexandria via the 4 Mile Run connector as my son and I did in May 2005, be prepared for a trail that appears to be poorly maintained and marked. 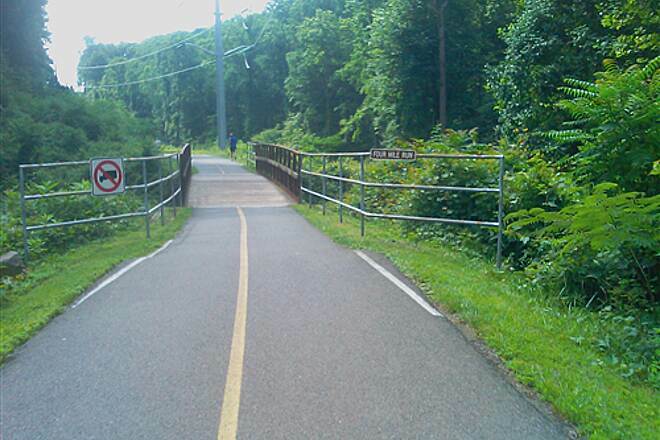 For example, there are numerous instances where the trail changes directions without a sign indicating which way to go (downtown Shirlington); the plywood sheeting on a bridge entrance was curled up so that it would hit a bike tire at a 90 degree angle, causing a blowout or bent wheel. The connections to the W&OD on the northern end are either missing or misleading. It is plain that this trail is suffering from funding problems. 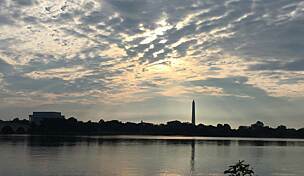 That is too bad, because Alexandria is a great place to start toward the rest of the W&OD." 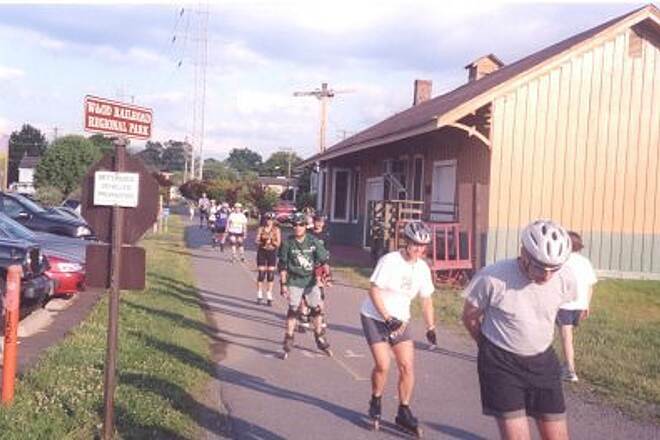 "This trail is perfect for rollerblading. Lots of great visual features, smooth pavement, and unexpected wildlife. 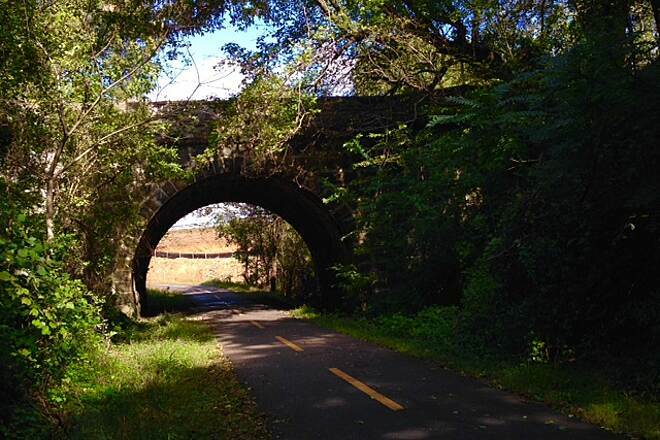 Hills, streams, bridges make this an interesting and sometimes very challenging trail (West from Leesburg). 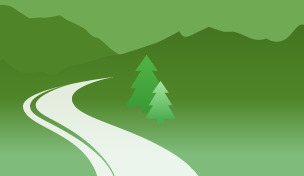 There are plenty of great rest stops and also nearby restaurants. I would love to write a review book on this trail and am compiling a photo diary as a starting point." 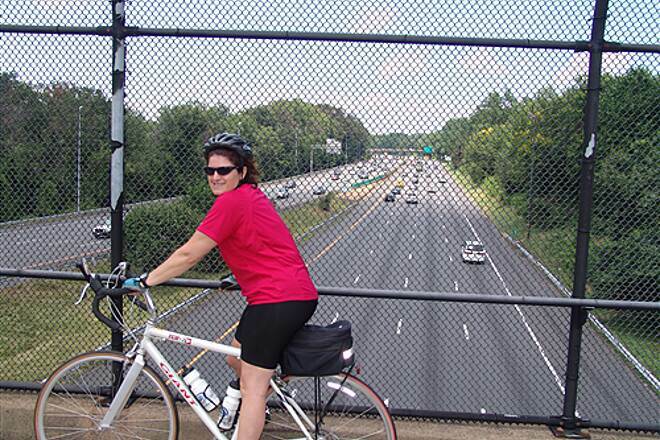 "I lived in Alexandria for five years and hit this bike trail about twice a week, starting and stopping at many different places. This trail is so awesome that now living in New York, I make the 5-1/2 hour drive down several times each summer. If you are into mileage it's there for you. If you need a short, level, easy ride it will provide that for you too, with stops to shop, sightsee, and dine." "I have seen a wide variety of wildlife from the trail, including deer, fox, squirrel, ground hog, snakes, songbirds, king fisher, hawks, vultures, barred owl, common bat, etc. 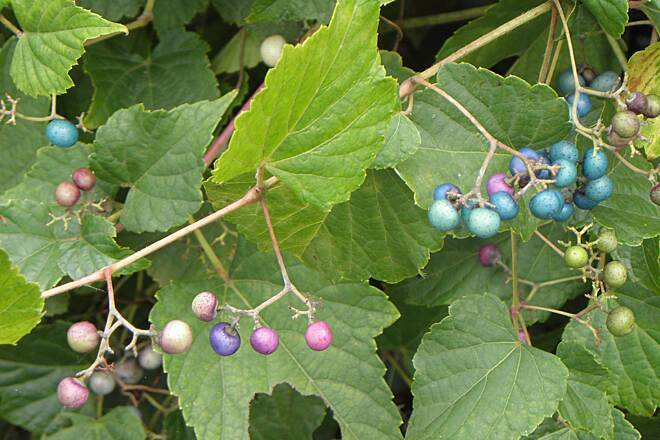 In the spring, the noise of peepers in the wetlands is simply overwhelming." 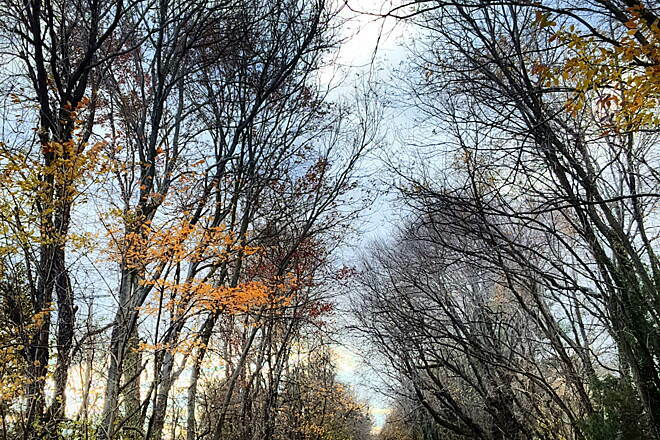 "I have spent many, many hours on the WO&D trail. I only wish there were more like it in other states." 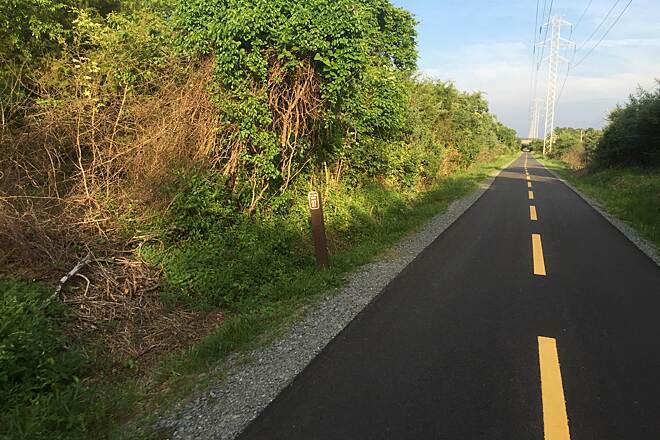 "All of the trail, from Arlington to Purcellville, is now paved." 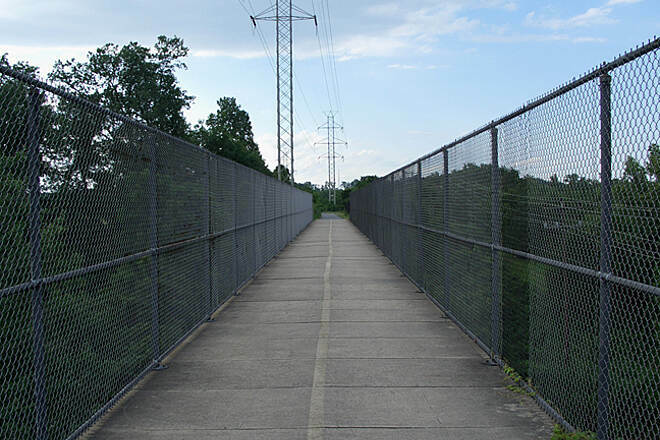 "I suppose you can say that I am partial to this trail, especially since I live just down the street from the many access points (Crestview & Herndon Pkwy). 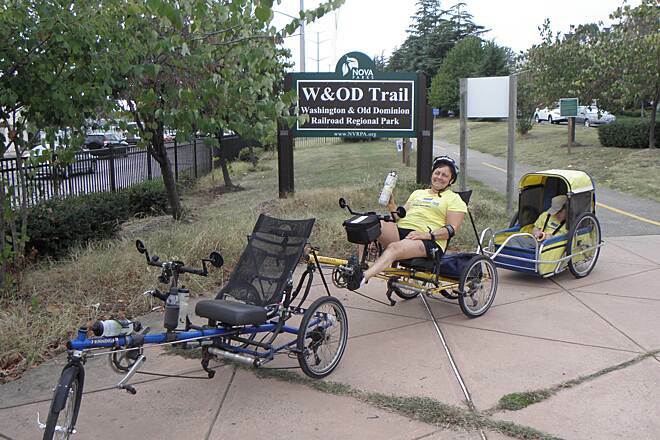 The W&OD Trail is a good trail for beginners as well as pros. It's good for beginners because the trail is mostly level with only a few grades, it's good for pros because end to end, it offers a good, long ride, interrupted only by a few areas where the trail crosses some major intersections. There are some really nice areas along the trail. 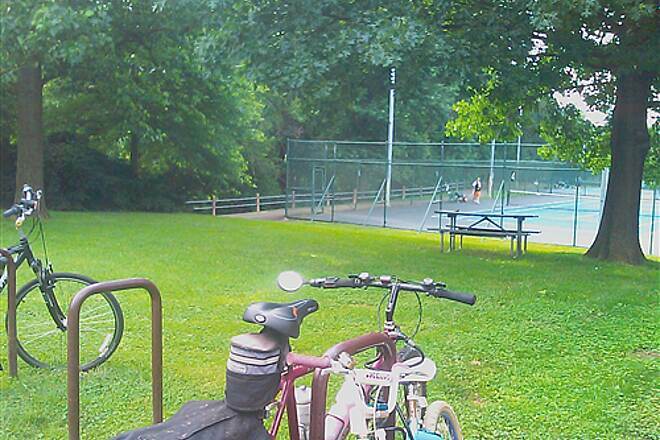 My favorite is Glen Carlin Park – a beautiful, shady Park, located on the East End near Ballston. Also, the area of Clarks Gap (after Leesburg) continuing through Loudon Cty to Purciville is also very scenic and secluded. 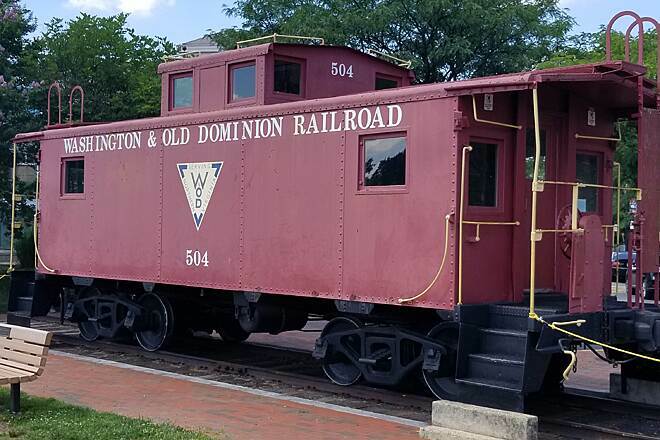 There are many rest stops along the W&OD Trail, places to eat and things to do along the way, including the Antique Shopping District in Leesburg, VA, just a few blocks North of the Trail and Glen Carlin Park near Wilson Blvd. My usual ride is from Herndon to Ballston and back, or from Herndon to Purciville and back. 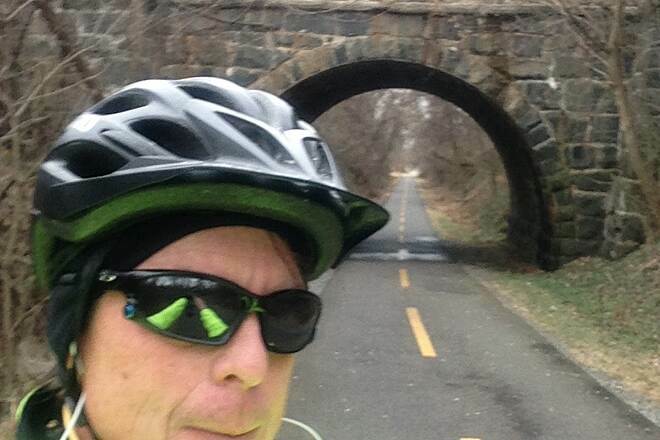 I have also ridden all the way to Georgetown and to National Airport & then back to Herndon, all in one easy day. There are some great little ""cycle-friendly"" places for lunch not too far from the trail, as well as some great places to stop for a picnic lunch. E-mail me for details if you like. Have fun!" "My husband and I take this path each spring. We get our son to drop us in Leesburg where we spend the night, wake and roll all day long right into DC. It is a nice path that declines in elevation all the way to the Delta. Once in DC, we have our bikes ready at a local hotel. We spend 2 days doing the zoo, Adamsmorgan and the musams. 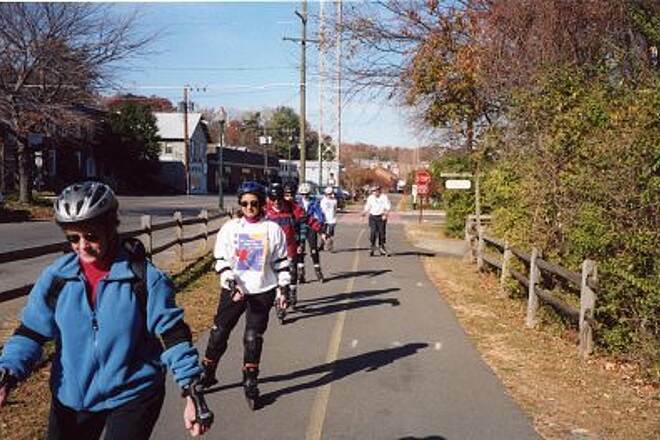 We put our balades in a bike trailer and ride the rockcreek bike path to rockvill where we have a car waiting. Travelling foot lose and fancy free, just cash in the pocket and comfortable cloths. If you want to try it and need more details send me a e-mail. Its a great way to start out the season, stoping at every mom and pop store for candy and slurppies. There is even a place in Herndon that gives free samples of home made bread." THE PORTION IN THE CITY OF FALLS CHURCH. IT AND THE FOUR MILE RUN TRAIL. THANKS!!"